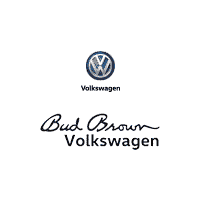 Welcome to Bud Brown Volkswagen, your exclusive Volkswagen dealership located at 925 N Rawhide Dr, Olathe, KS. We are locally owned and operated and have been providing the best-in-class car buying and ownership experience to the Kansas City area for over seventy years. Our company dates back to 1949 when Harry Brown and his son Bud acquired an existing DeSoto-Plymouth dealership in Kansas City, Kansas. Today Phil Brown is the third generation owner of the business and hands-on operator of Bud Brown Volkswagen in Olathe. Our team works to provide every customer with a simple, easy and stress-free experience. From research to delivery, Bud Brown Volkswagen will provide you with the information you need so that you can make an informed and confident decision regarding your vehicle purchase. You can start right here on our website. Research our inventory, compare our pricing and contact the dealership at your convenience. No one will take care of you after your purchase like Bud Brown. Bud Brown makes it easy when your car needs service repairs or maintenance. No appointment is necessary when you take advantage of Bud Brown’s Service Express for your regularly scheduled maintenance. We’ll get you in and out in a hurry. Or you can schedule your next service right from this website. Our online appointment app is available 24/7 for your convenience and our service department is open Monday through Saturday to accommodate your schedule. And while you’re on our website please take a minute to check out our Customer Reviews and read what our customers say about us. You’ll quickly see how we’ve earned our reputation as one of the area’s best car dealerships.